NASA researchers are using the International Space Station to examine biological systems in space and are searching for the best methods for keeping astronauts healthy during spaceflight. Flutter, slither, swim or crawl your way over to this month’s International Space Station look at biological research. We’ll be highlighting the study of life and the technology that supports this science throughout September. Researchers examine biological systems in space to understand the basic and complex mechanisms of life on Earth and to determine the best methods for keeping astronauts healthy during spaceflight. Fruit flies, roundworms, medaka fish and rodents are a few examples of animals studied aboard the station. Scientists investigate model organisms like these because they are easy to reproduce and study in a laboratory, and can provide insight into the basic cellular and molecular mechanisms of the human body. Biological studies aboard the space station also include research of cells, plants, genetics, biochemistry and human physiology, to name a few. This month, we’ll note the study of microbes, which can threaten crew health and jeopardize equipment aboard the space station. If scientists can understand how microbes behave in microgravity, the same techniques can be used to identify microbes in hospitals, pharmaceutical laboratories and other environments on Earth where microbe identification is crucial. We’ll learn more about research on cells of the immune system in microgravity, something scientists are studying to better understand how human immune systems change as they age. Also in September, you can cheers the space station as we unveil how the study of plants in space can lead to air purification technology that keeps the air clean in wine cellars, and is also used in homes and medical facilities to help prevent mold. There are a plethora of plants in space, meaning there are a plethora of plant studies aboard the station at any given time. Last month, NASA astronauts sampled fresh romaine lettuce aboard the space station for the first time. BRIC hardware has supported a variety of plant growth investigations aboard the space station, including the BRIC-19 investigation, which looks at the growth and development of Arabidopsis thaliana seedlings in microgravity. 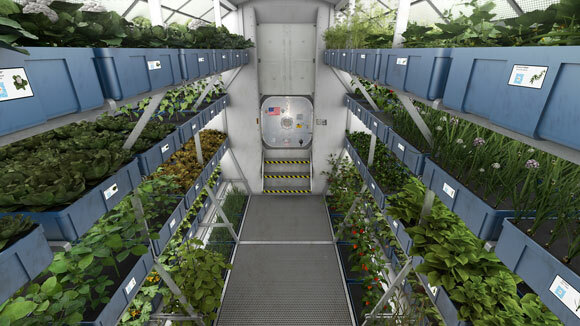 There are many other plant growth studies that examine A. thaliana in space, observing its reactions to light and the cellular processes that activate in the absence of gravity. And finally, human physiology studies aboard the space station are paramount to enabling future exploration missions to an asteroid, Mars and beyond. NASA Astronaut Scott Kelly and Roscosmos Cosmonaut Mikhail Kornienko will reach the midpoint of their One-Year Mission in September and help researchers gain valuable data about human health and the effects of microgravity on the body over a period twice as long as a typical U.S. mission. In addition, the Twins Study includes ten separate investigations of identical twin astronauts Scott and Mark Kelly that will provide insight into the subtle changes that may occur in spaceflight as compared to Earth by studying two individuals who have the same genetics, but are in different environments for one year. Formulate the ‘logical’ conclusion and follow the ‘bio’ happening on the space station throughout September. We will keep you informed of how the study of life in space improves life on Earth and will one day sustain life during deep space missions and on Mars or other planets. 1 Comment on "Researchers Continue Biological Research at International Space Station"